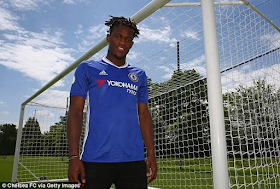 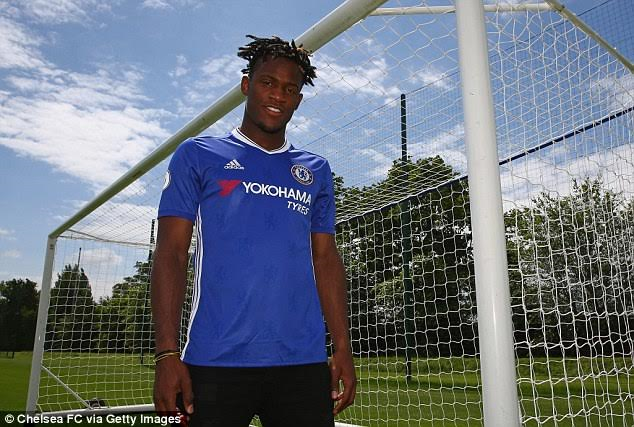 Chelsea have signed Belgian striker Michy Batshuayi for £33million from Marseille on a five-year contract making him the club's first signing of the Antonio Conte era. 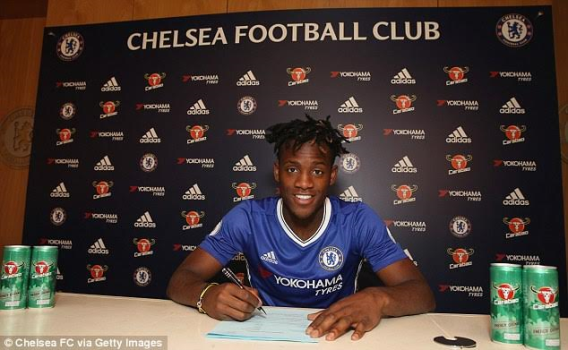 The Belgian, 22, arrived at the Cobham training ground on Sunday to put pen to paper after Chelsea and Marseille agreed on a fee during the week. ‘I am delighted to sign for one of the biggest clubs in Europe and embark on the next chapter in my career. 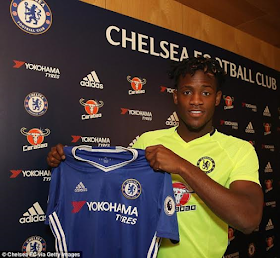 I hope I can help Chelsea win many trophies during my time at Stamford Bridge.Eden Hazard and Thibaut Courtois have told me many good things about the club, and with Antonio Conte coming in it's an exciting time to become a Chelsea player.